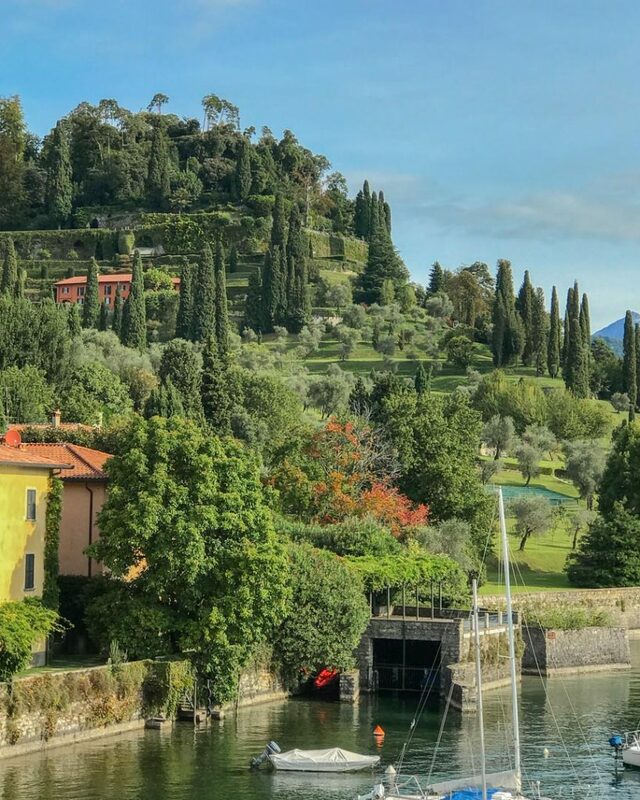 Bellagio is often referred to as ‘The Pearl of Lake Como’ due to it being perfectly situated in the middle of the lake – and being as picturesque as picturesque can come. Prior to exploring Lake Como with Bellagio Water Sports. I was under the common misconception that Bellagio consisted of the one, tiny, waterfront town that’s so famously advertised around the world. I had visited Bellagio a year prior, on my own, where during my three day trip I barely left the small city center of Bellagio. 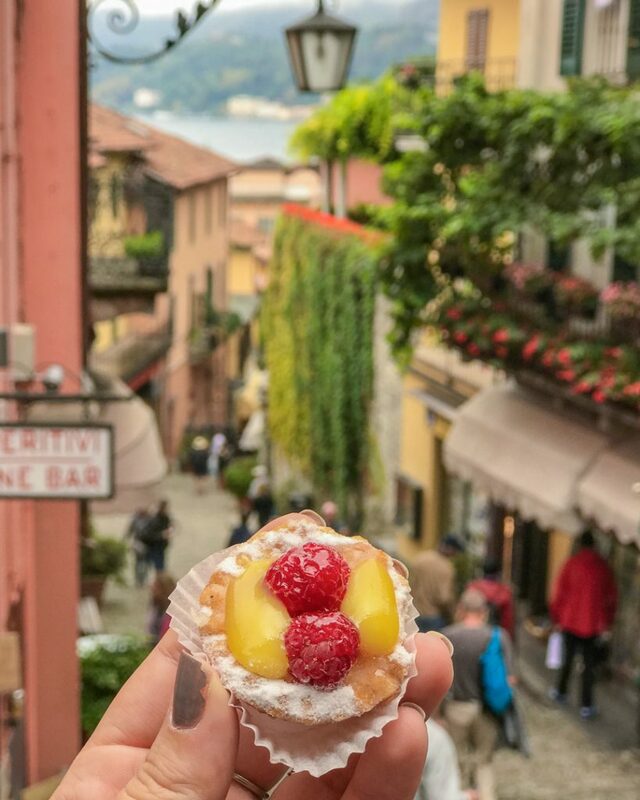 While I still stand by my article on “How to Spend a Weekend in Bellagio”, I would now suggest spending at least five days to truly take in everything Bellagio has to offer. What is Bellagio Water Sports? 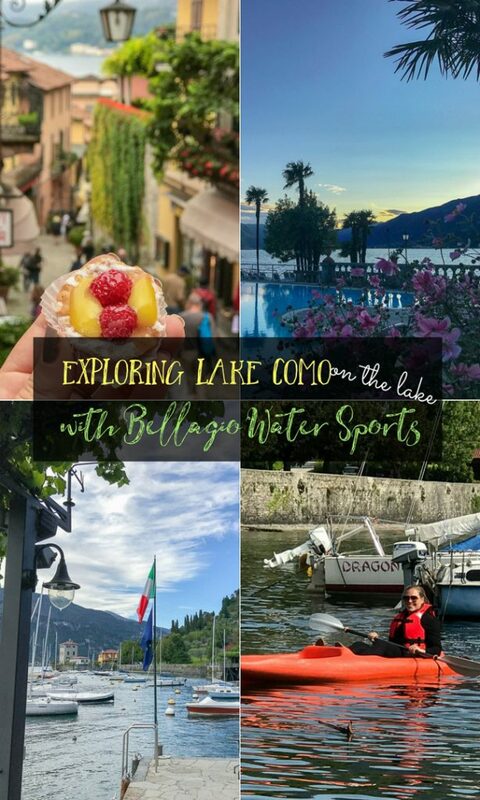 Owned and operated by Michele Gandola, a Bellagio native himself, Bellagio Water Sports was founded in 2010 to cater to visitors to Bellagio and Lake Como who want to explore the lake via the lake. Offering guided kayak and stand-up paddle board tours as well as kayak and paddle board rentals – for those who wish to explore without a local guide. 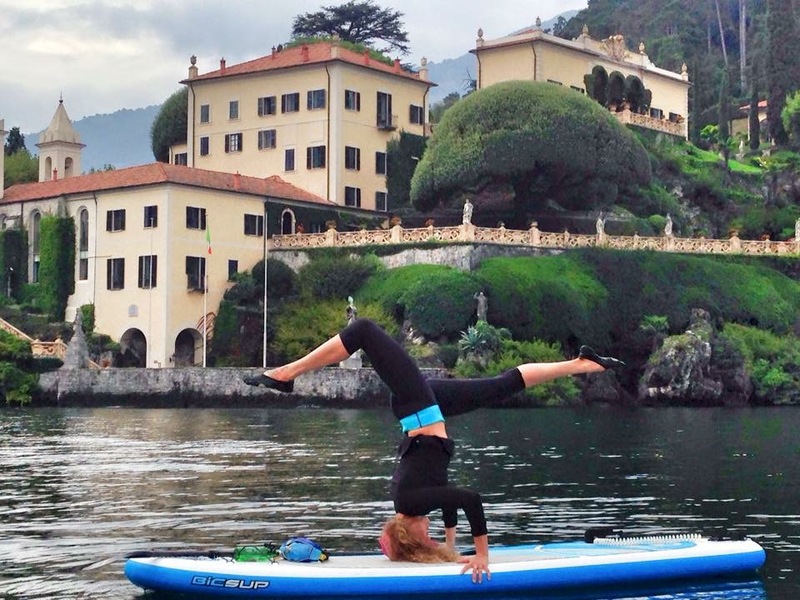 A stand up paddle board customer getting her yoga-on right on the lake! I visited Bellagio in mid-September which was (in my humble opinion) the perfect time of the year. A nice breeze, strong sun and autumn foliage beginning to make its way around the lake. This was also the perfect time of year to spend on the lake. 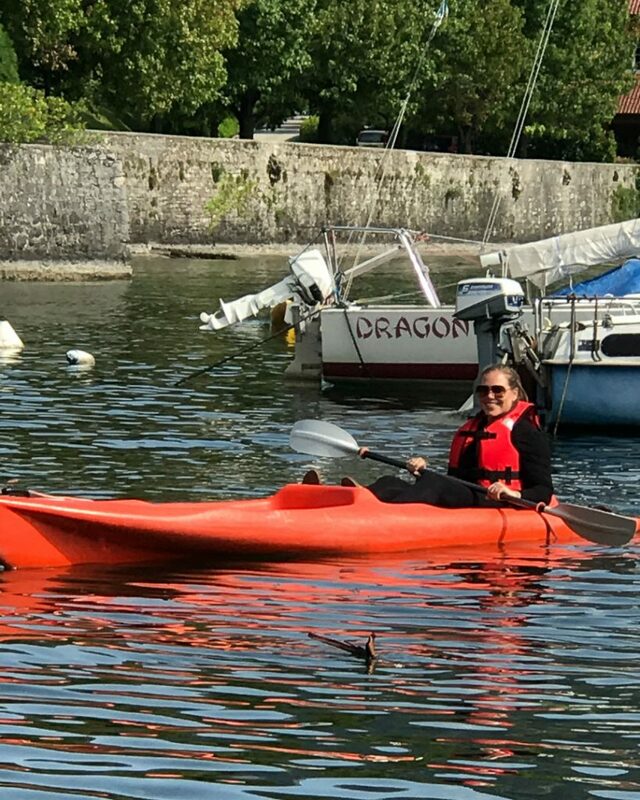 I’m not very confident on a stand-up paddle board and I didn’t want to go for a swim so I opted out of the SUP and instead opted ‘in’ for a kayak and motorboat tour – all arranged by Michele. 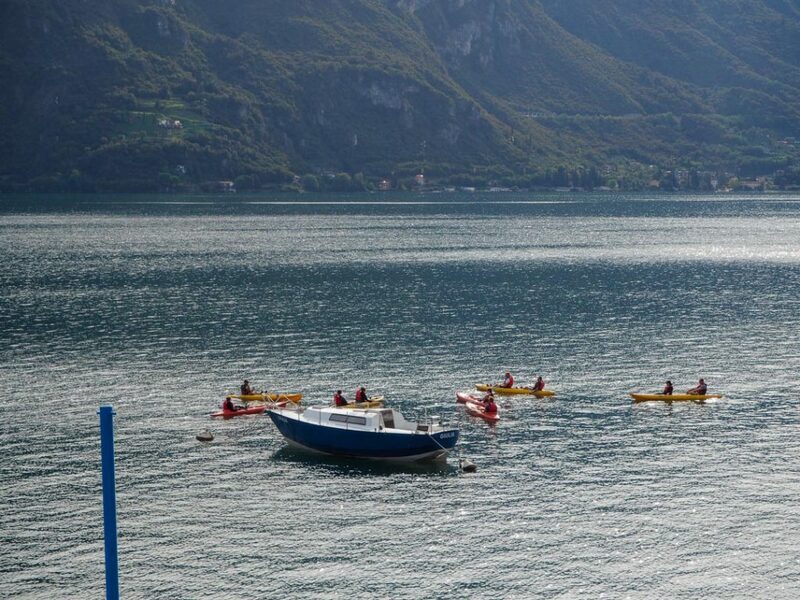 Our kayak tour departed from Pescallo bay. 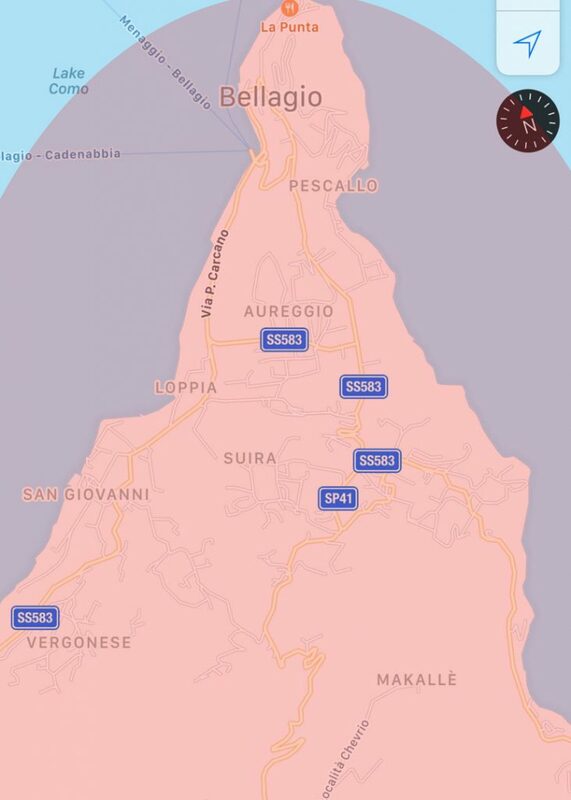 This was super convenient for me as I was staying at Hotel la Pergola, also situated right in Pescallo Bay. We boarded the kayaks one by one and Michele instructed us to meet at a boat anchored in the bay a few hundred feet from where we boarded. Some of the views and hues of Pescallo Bay from Hotel la Pergola. Our meeting point for the start of our kayak tour. After arriving to our meeting point we introduced ourselves and Mich went over a few safety points and rules of the lake. We also received a run-down of the route we were taking, up Pescallo, to the point of Bellagio, and back. And then we were off! Our group making our way around the lake. I opted to leave my phone at the hotel, as it had been quite a few years since I had kayaked and the last time I did – I went for a swim that I didn’t sign up for. However! I can attest to the views and hues of the lake, from the lake, being just as beautiful as you’d expect (if not – better!). We also had a few newlyweds on our tour and about ¾ of the way through the tour Mich paused to pop not one, but two bottles of champagne! Michele’s attention to detail and genuine happiness to show people the area and make our tours special was apparent – and appreciated! *note to mom: don’t zoom on cell phone photos* Here I am making my way back to where we docked the kayaks in Pescallo Bay. A few hours after the kayak tour, we met back up with Mich to take a tour around the lake via a motor boat. This was definitely a highlight of my trip around Lake Como. 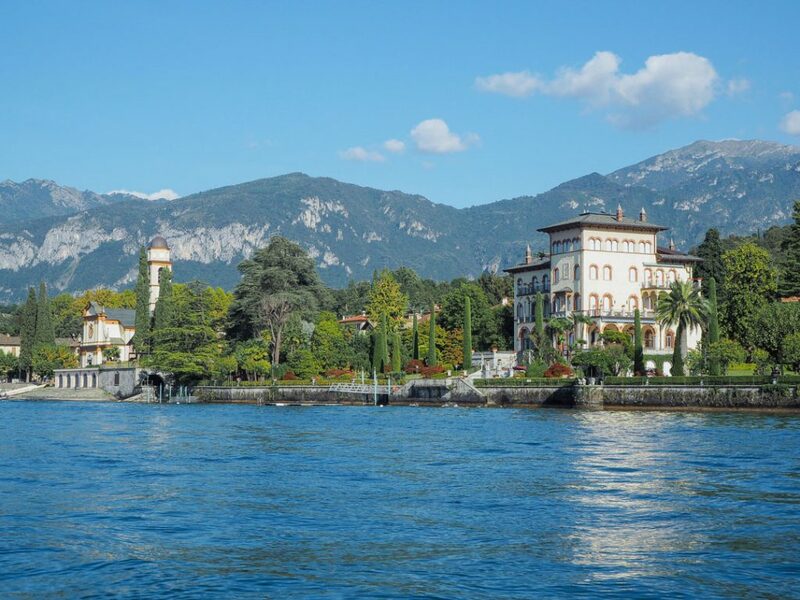 As I had mentioned in my first article How to Spend a Weekend in Bellagio I had previously arrived at Bellagio via one of the ferries. This trip around, I drove the hairpin turns around the lake and on neither forms of transportation did I really get to take in any views. When I was on the ferry – there were heaps of other tourists and while I was driving, I was – well, driving. 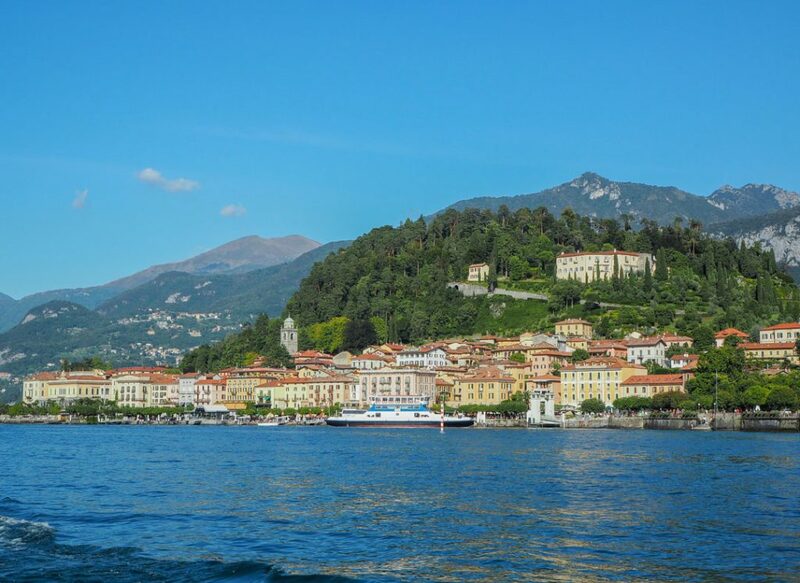 The views and hues of Lake Como, as seen from a boat, are like none-other! 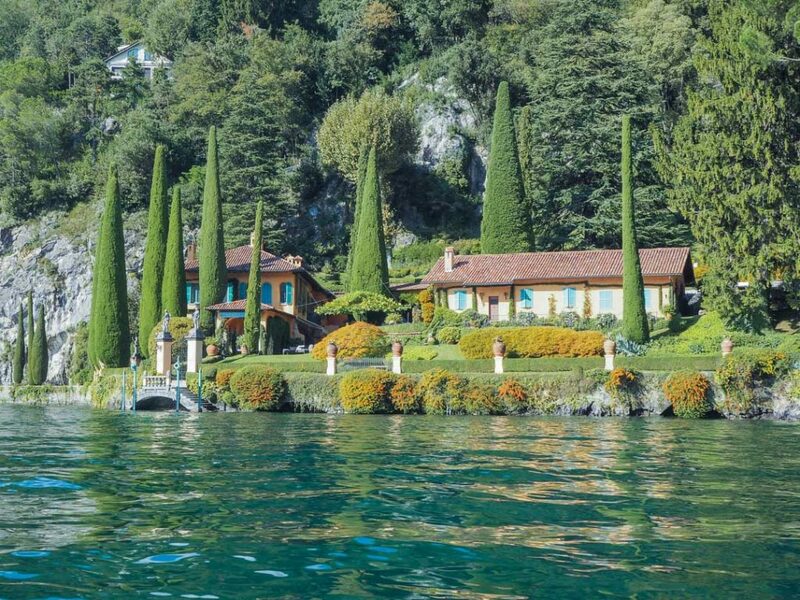 It was an added bonus that Mich is so familiar with the lake, the homes and the sprawling villas. He was able to point out some very special locations for us. 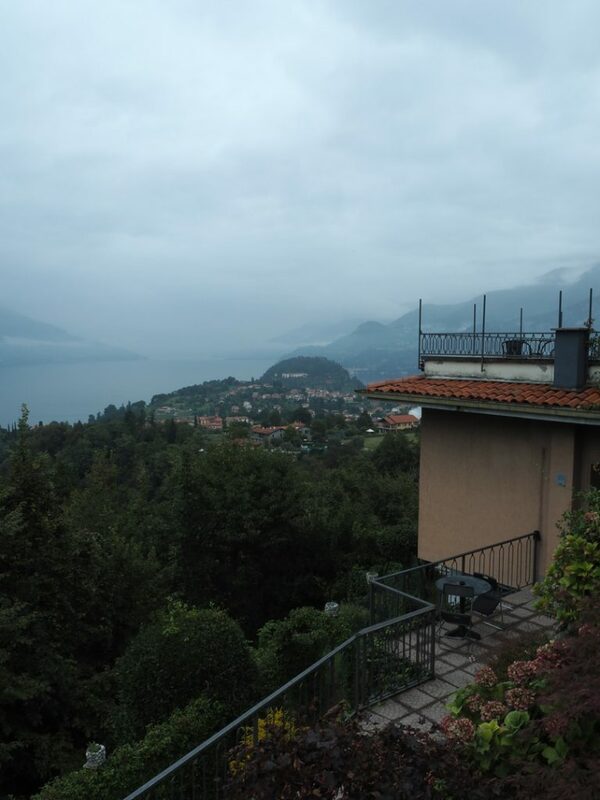 (left) The views of the city of Varenna from a distance and an up-close view of the buildings (right). 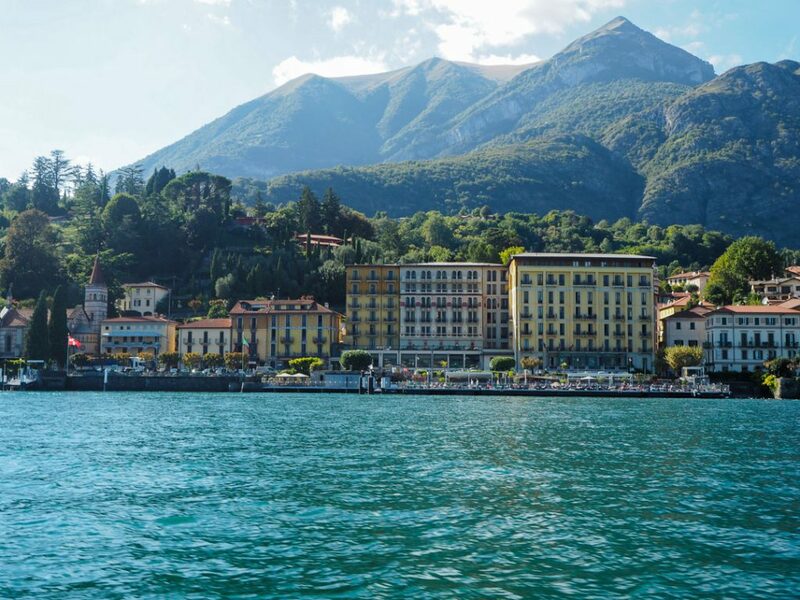 The views of Varenna are, very literally, as pretty as a picture. 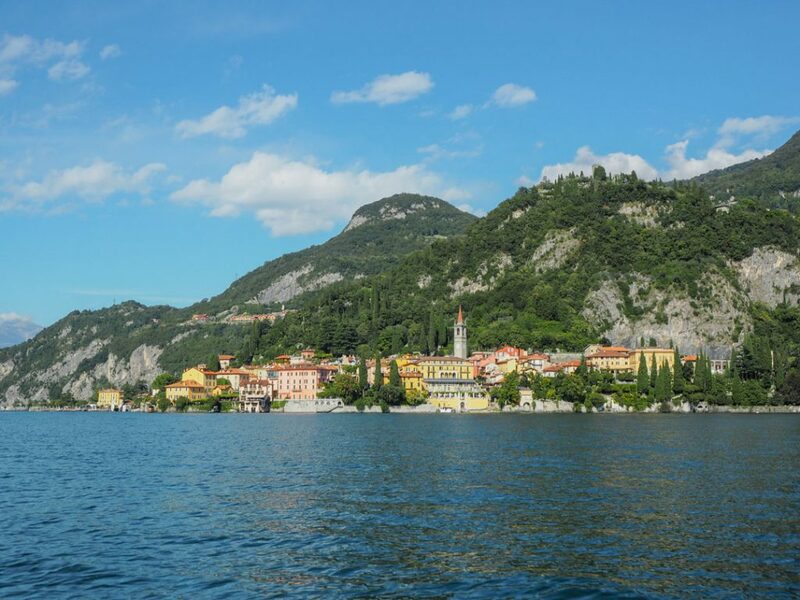 (left) The views of the town of Tremezzo and (right) Grand Hotel Tremezzo, one of the most luxurious hotels on the lake! 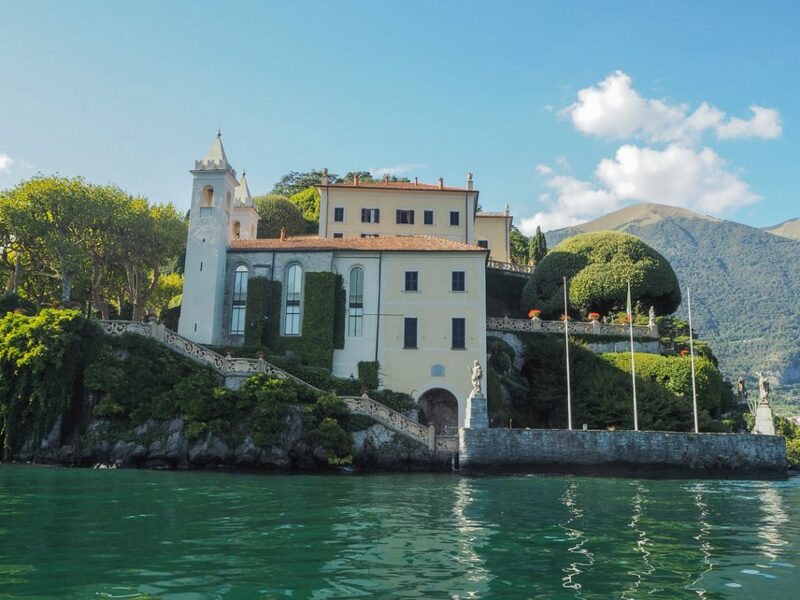 Can you recognize this villa?! It was a location of filming for Star Wars! (Left) A private villa and home to Richard Branson and (right) a private villa and home for a Russian business investor. Views of the city center of Bellagio. 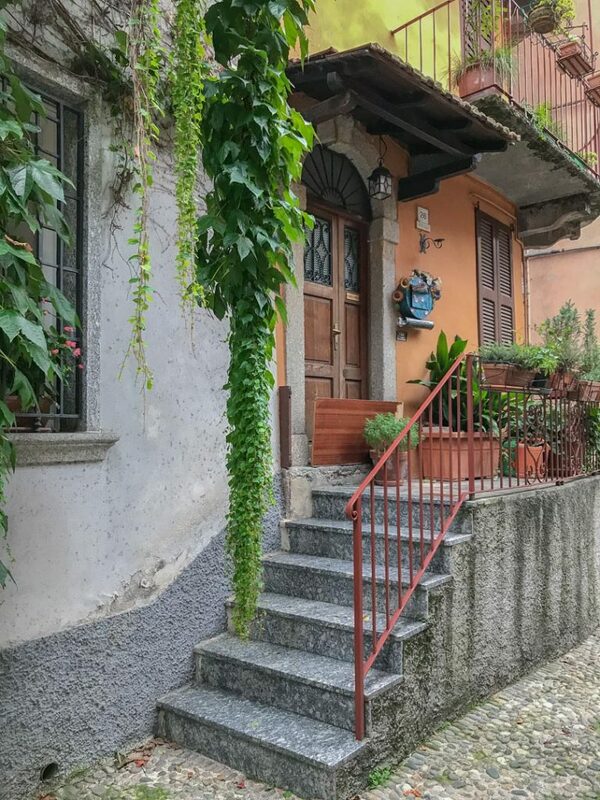 Being that Michele grew up in Pescallo, a 5-10 minute walk from Bellagio city center, he knows the area in and out. 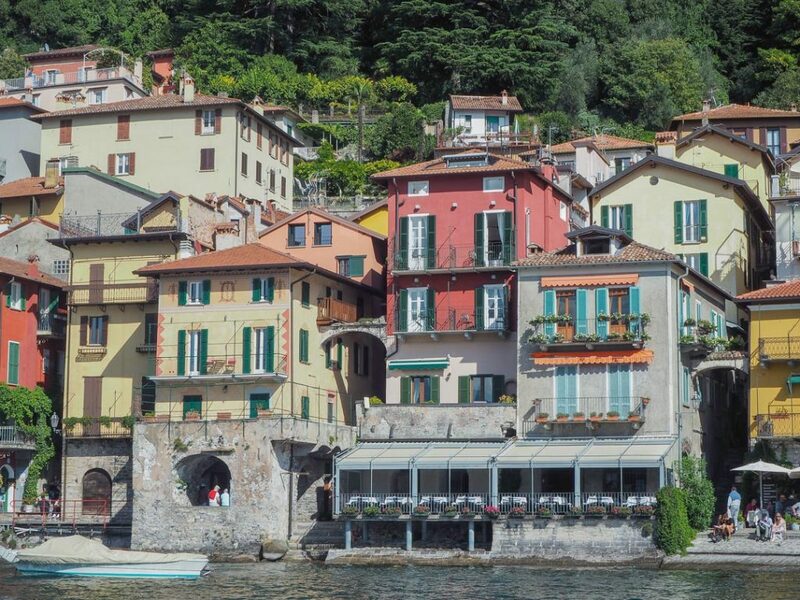 With Mich, I learned that there are twenty-two hamlets that make up the commune of ‘Bellagio’. 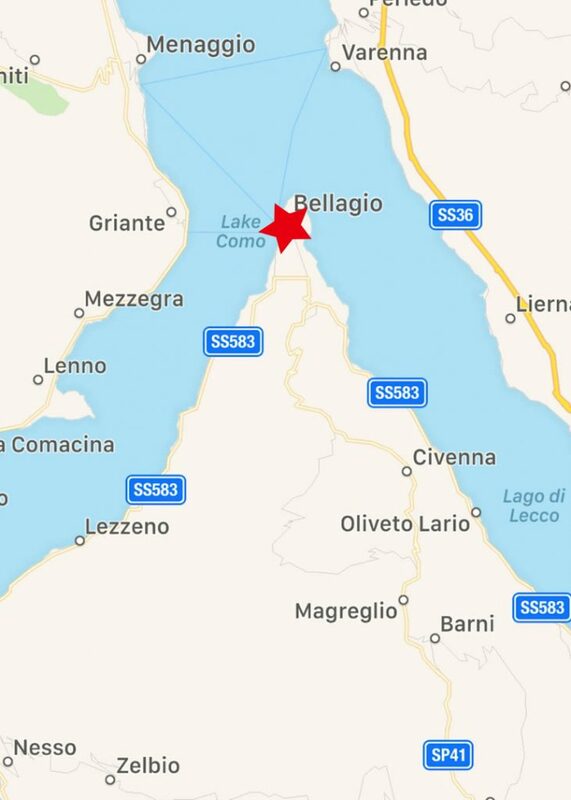 The star on the left map marks the area that people think Bellagio is made up of and the circle on the right map outlines the area that is all part of Bellagio. It’s safe to say that most tourists don’t leave Bellagio with a full understanding of the area. It’s even safer to say that most tourists don’t explore 1/10 of the area that makes up the real Bellagio. Thanks to Mich at Bellagio Water Sports – I did! Starting dinner reservations to hotel bookings or apartment rentals – Bellagio Water Sports has you covered. Michele set up my entire three day stay in Bellagio – while leaving down time for us to explore on our own. I arrived in Pescallo, where Michele had arranged our stay at Hotel la Pergola at around 2pm and Mich was waiting for us to arrive. We make the walk from Pescallo to Bellagio Centro and had a coffee, got to know each-other and a little chat about the days to come. 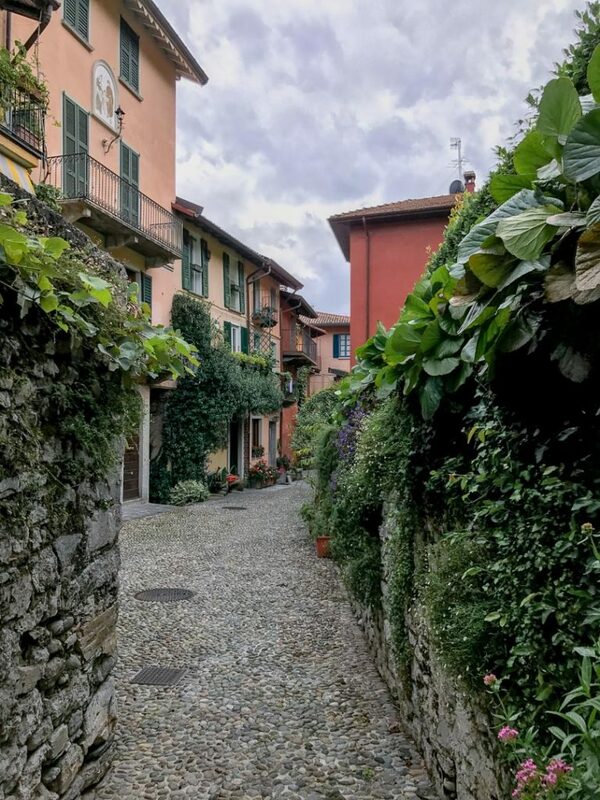 The views from the walk to Bellagio from Pescallo are everything you’d expect from Lake Como…and then some. 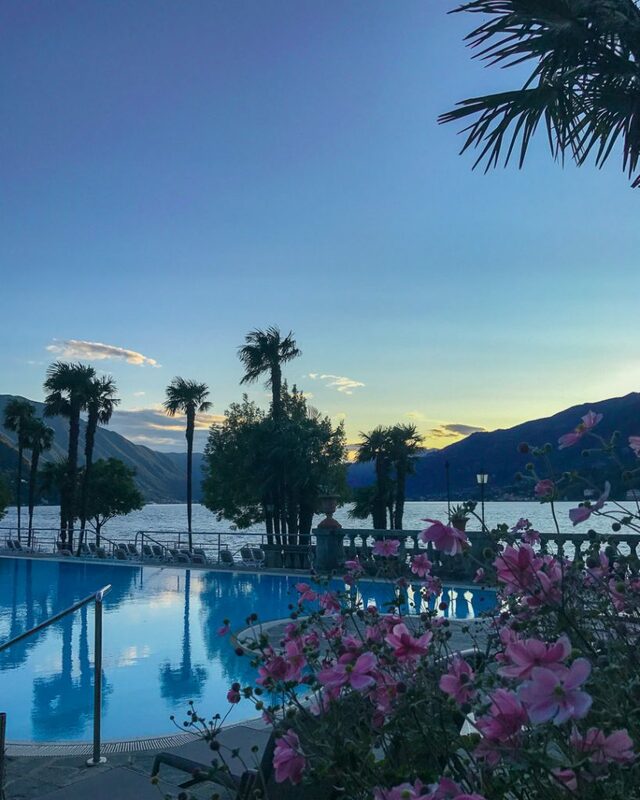 The first night in Bellagio I had dinner arrangements at Grand Hotel Villa Serbelloni’s restaurant La Goletta. 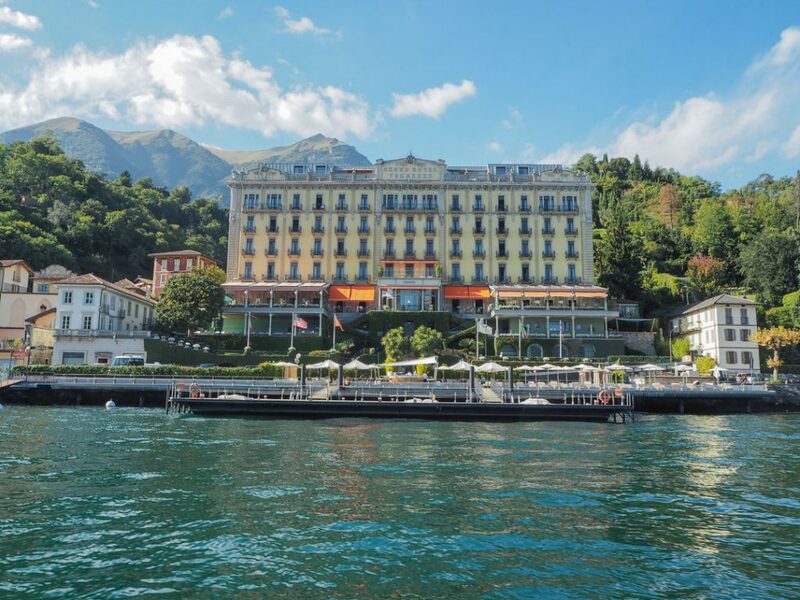 An upscale option, located in the only five-star hotel in Bellagio. La Goletta is situated right at the pool, overlooking the lake – which is the perfect place to catch a sunset. The cuisine is also to die for so bring your appetite! 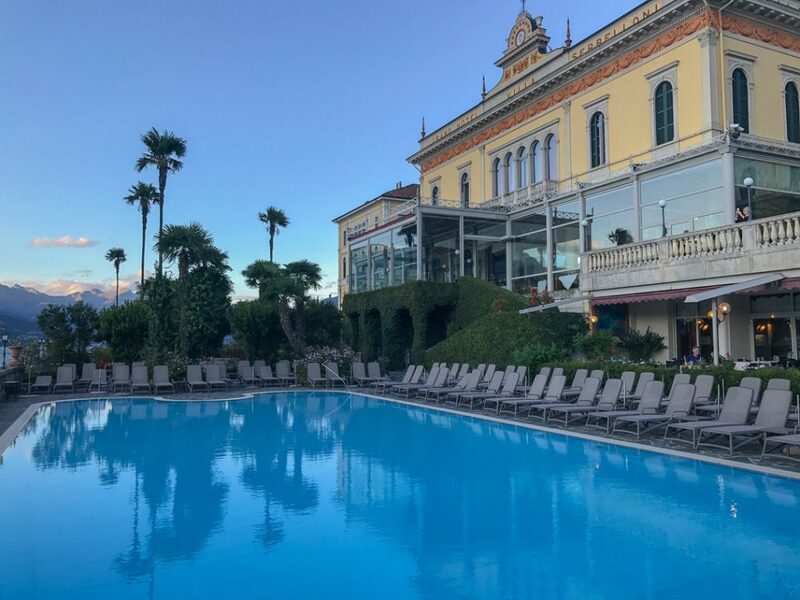 The view of Grand Hotel Villa Serbelloni from the pool area. 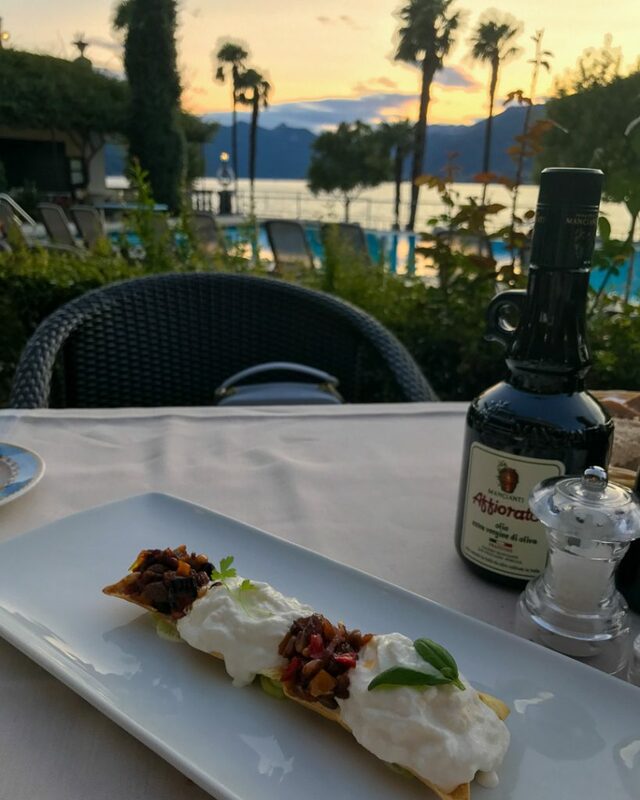 (left) The most delicious caponata I’ve ever enjoyed, with a view of the sunset over the lake and (right) the views of sunset over the pool and lake. 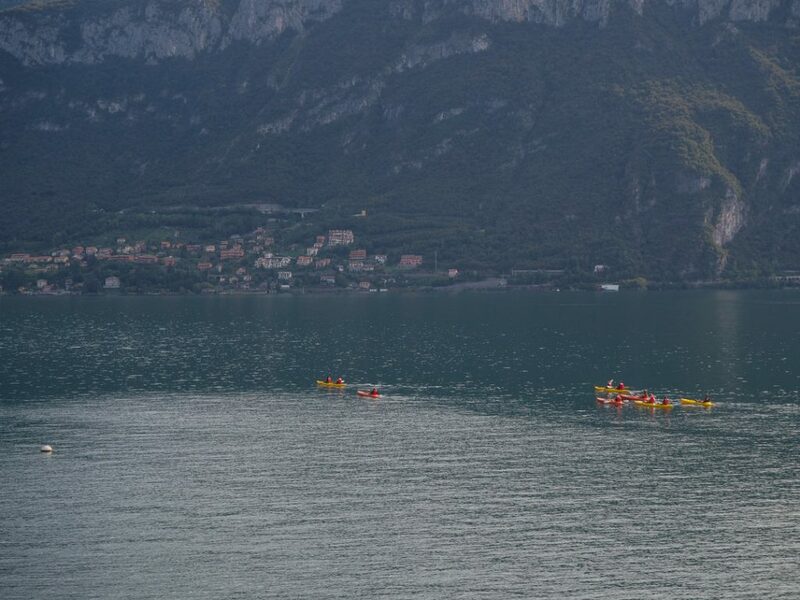 Our second day was the Bellagio Water Sports tours day! We started at 10am with the Kayak tour. We then had a few hours of free time in between the kayak tour and the motorboat tour so we enjoyed lunch at our hotel, La Pergola. I highly suggest the risotto of the day! After lunch we took our motor boat tour around the lake. We had a few more hours of free time where we enjoyed a walk around Pescallo and back into Bellagio. 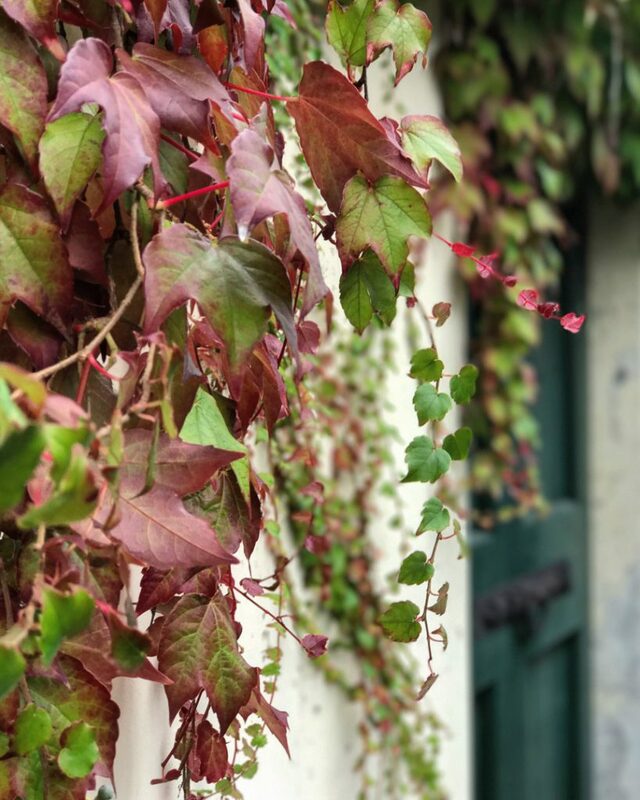 (left) I couldn’t resist photographing the fall foliage on the walk to Bellagio from Pescallo. (right) I also couldn’t resist a sweet treat from a patisserie in Bellagio city center. 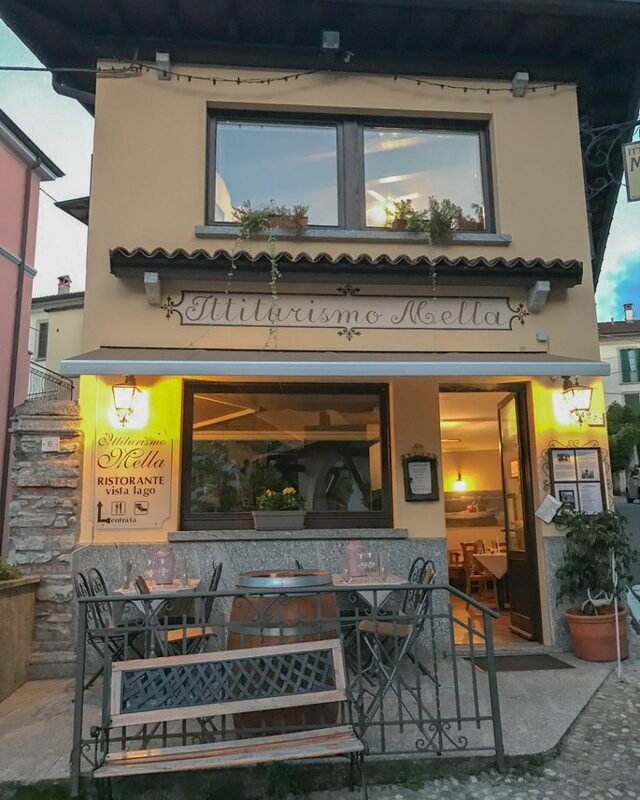 For dinner Michele arranged reservations at Ittiturismo Mella which is known for its authenticity and tradition. 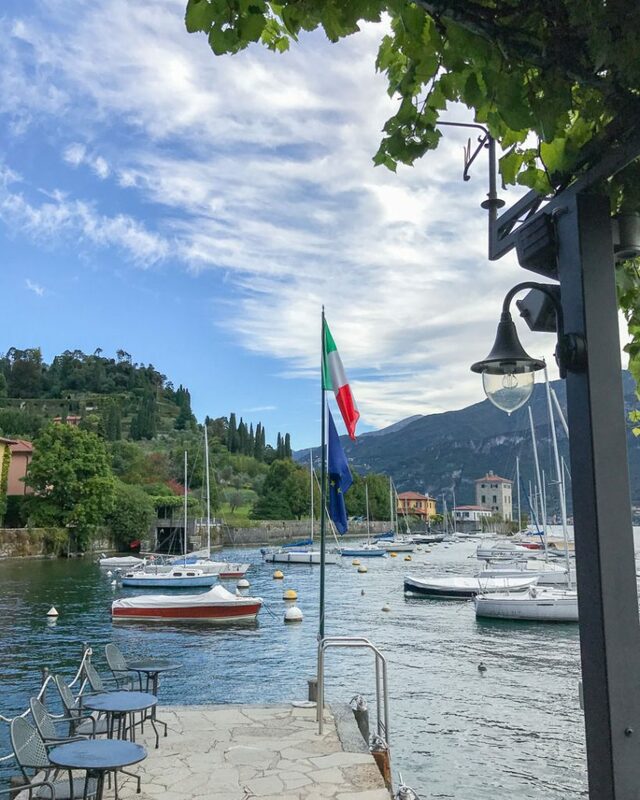 Located about one kilometer from the Bellagio city center, in the fishing hamlet of San Giovanni, Ristorante Mella serves up homemade, freshly caught fish right from the lake! On the front of the restaurant itself is a list of local farms and farmers where the restaurant acquires it’s produce from. The façade of Ittiturismo Mella. The best part of dining at Ittiturismo Mella is that you can truly feel the authenticity and tradition. The fisherman, Alessandro, learned the ways of the lake from his father. And his wife and daughter serve up the freshly prepared fish in their restaurant. Alessandro is so dedicated and passionate about fishing on the lake that he’s even willing to take guests out on the lake with him to teach the ways to catch, clean and prepare the fish! As an added bonus, you can check out some of the family recipes on their website here. 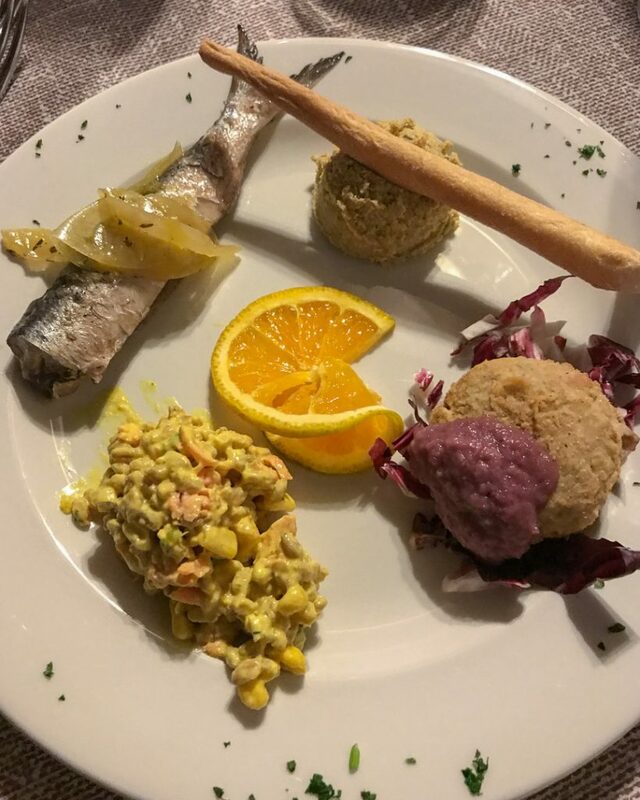 (Left) the starter, a sample platter of different prepared lake fish – my favorite was the fish-cake prepped with a beetroot jam. 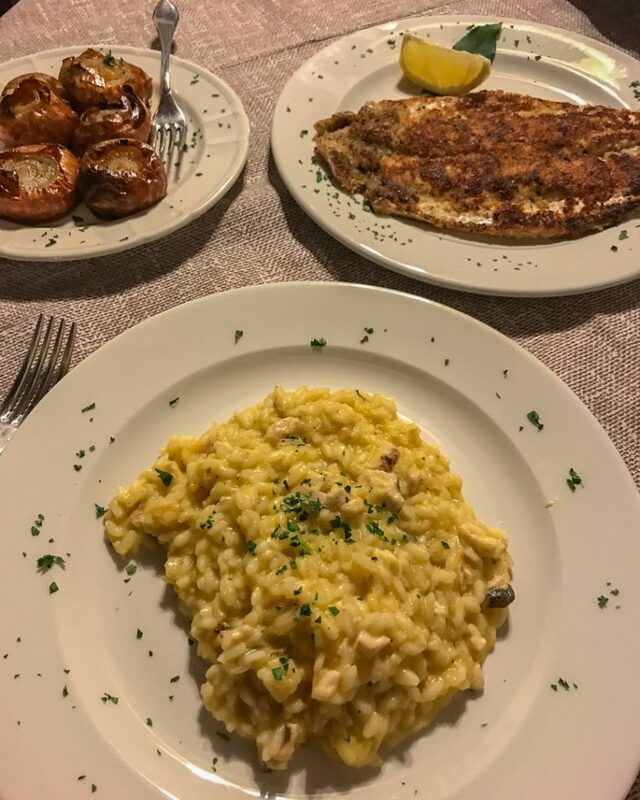 (Right) Dinner consisted of lake-fish risotto, broiled onions (SO DELICOUS) and a fried fish. The weather wasn’t in our favor for our last full day in Bellagio, but Mich rolled with the punches and still had a few sights for us to see! The Lake Como area is big for bikers and there are a few companies doing their part to accommodate biking in the region. We went up to Hotel II Perlo Panorama, which is located atop a mountain – at the beginning of Bellagio. Aptly named “Panorama” as the views from Hotel II Perlo panorama are insane! It was, very unfortunately, overcast but the views were still incredible. 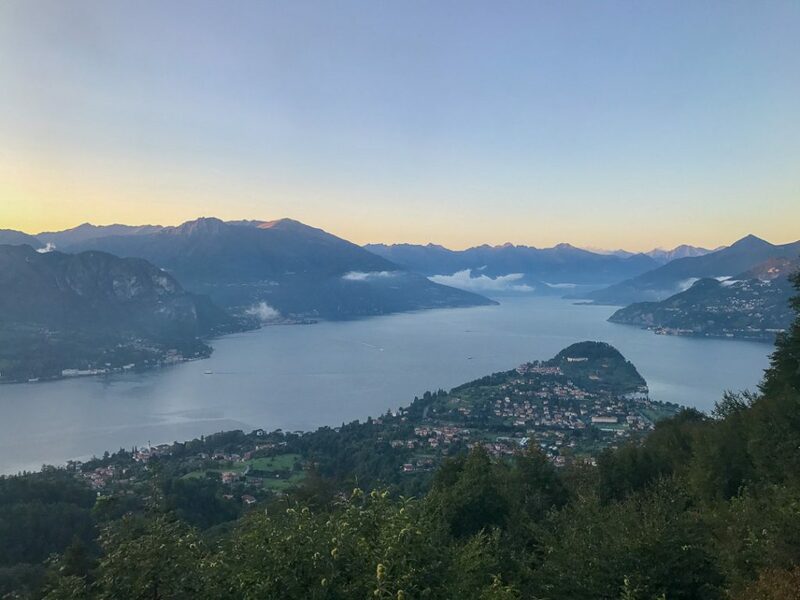 Located inside Hotel II Perlo Panorama is Roadbike Holidays – your one stop shop for everything you need to bike around Lake Como. From pedal bikes to pedal bikes with electric motors Michele’s friends at Roadbike Holidays can seriously hook you up. For dinner Michele arranged another fabulous meal, this time at Baita Belvedere. We were picked up by a driving service right in front of our hotel (offered to all guests!) and made our way up the mountains to the restaurant with amazing views of the lake and Bellagio. The weather cleared up just in time for us to take in the views and hues from Baita Belvedere. Baita Belvedere was a cozy, intimate space but they also had plenty of room for a larger, private function. There were two other tables of guests and while it was cozy and fun for us (we all bonded and exchanged contact information!) I couldn’t help but think of all the tourists in the city center of Bellagio missing this absolute gem of a location and restaurant. 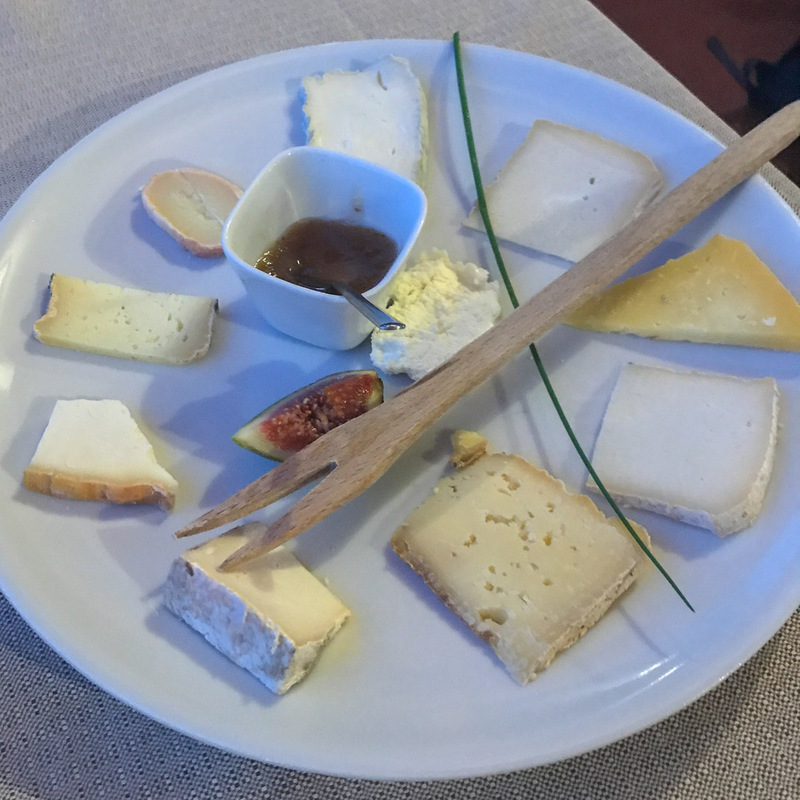 (Left) My starter – the most delicious selection of cheeses paired with a fig spread. (Right) A delectable berry panna-cotta dessert. The food was so delicious at Baita Belvedere I completely forgot to photograph the polenta or rabbit meals we opted for. What was even better? 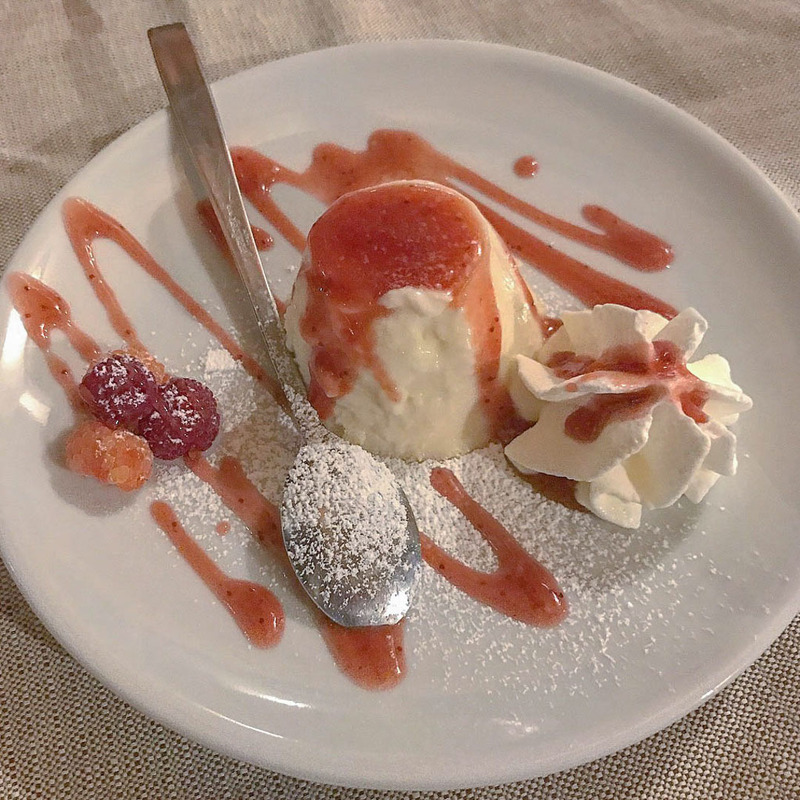 After eating our fill of authentic Italian cuisine and getting our fill of gorgeous views – we were escorted by the driver for Baita Belvedere back down to our hotel in Pescallo. There is no way that without the help of Bellagio Water Sports and Michele that I would have ever gotten a real feel for Bellagio and the surrounding hamlets. 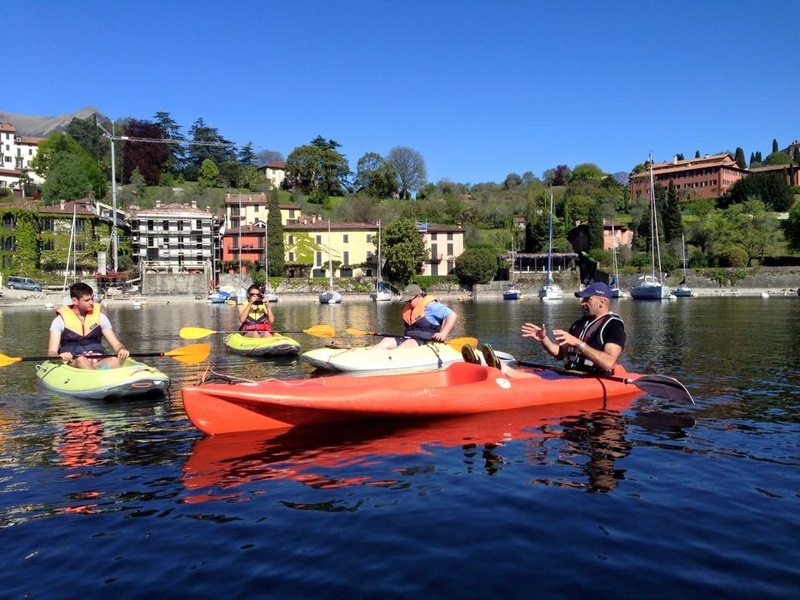 The tours that Bellagio Water Sports offer are unique and special to Lake Como and the expertise and passion for Bellagio that Michele has is special, also. I can’t suggest anyone better to assist in planning your next trip to Bellagio than Michele from Bellagio Water Sports! Tell him Jackie sent you! Looks incredible! That lady doing yoga on her paddle board, wow! Such vibrant pictures. You took me away to this romantic place from the comfort of my computer screen. I can’t wait to visit here. 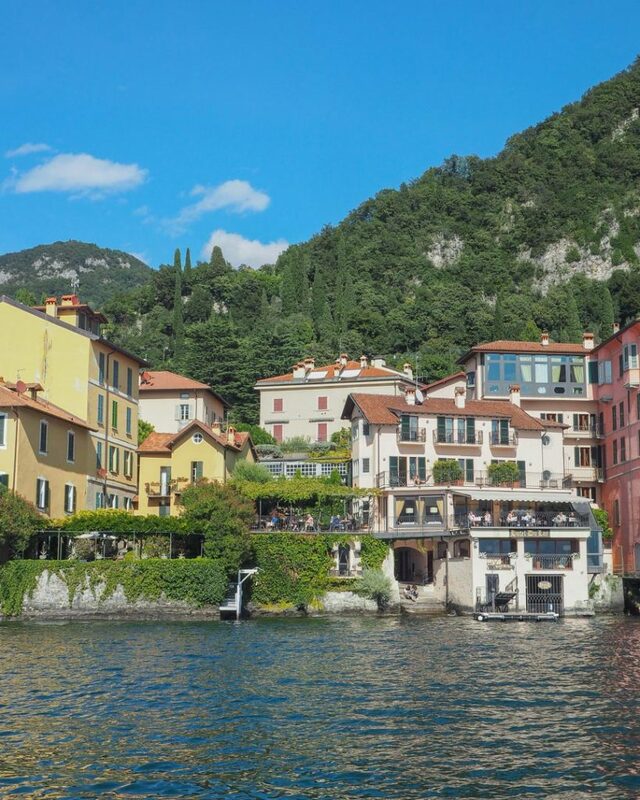 Bellagio is one town that is definitely nothing short of spectacular! I visited it just over a year ago and loved every second of my time there. I only had a couple of hours, so I know I need to go back. And when I do, you can count on me signing up for a boat tour with Bellagio Water Sports (looks like an amazing way to explore the lake). I love Italy so much (SO MUCH), and this looks like tremendous fun!! Also, I don’t think bad meals exist in Italy. 😀 Thanks for sharing! 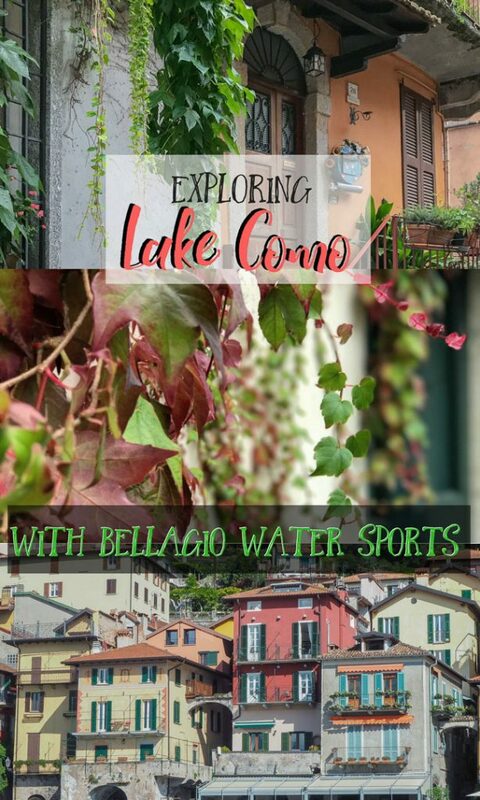 Bellagio seems like a breathtaking and remarkable place which I would love to explore and try the water sports there! When’s the best time of the year to go there? My personal opinion on the best time to go is before or after peak season (which runs, generally, from June-September). Very exciting! Nice pics and great ideas! Thanks for sharing this post.